EatMe.io - Eat' em All or be Eaten - Play for maximum kills! 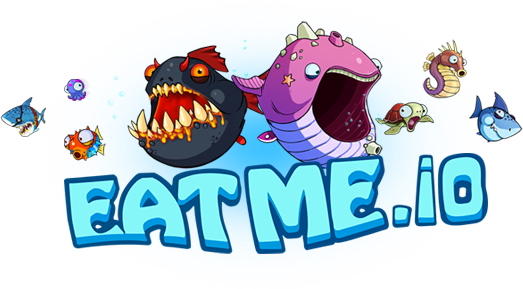 Join the epic underwater adventure in the fishtastic game of Eatme.io, the fishiest but tastiest free live multiplayer strategy game! Get into the feeding frenzy and enjoy the thrill of eating other fishes! The Junglee Eatme.io game is fresh and innovative and it emphasizes on the battle of survival deep in the ocean water with one simple rule: Munch or become someone else's lunch! It is a fun attempt to highlight the underwater rule of evolution, 'Eat' em all or be eaten'. Enter the two-minute piscine battle and eat maximum fishes to become the ultimate predator. Munch on sea weed to gain mass and eat smaller fishes to get bigger. Sounds easy? Wrong! There are bigger fishes on the hunt - Escape from their jaws by splitting into mini fish! Unlike agar.io, mitos, nebulous, osmos and other multiplayer games, you can choose from many colourful fishes in Eatme.io! Use touch or joystick control and swim with ease in the vast ocean filled with treasures - Earn gold coins and become the wealthiest fish in the ocean!